Selecting the best nursing school in Maryland can be difficult. To make the process easier first look for a school that supports students towards licensure and beyond. A great way to measure this is through NCLEX-RN "pass rates." We have ranked the top 10 nursing schools in Maryland by analyzing current and historical NCLEX-RN "pass rates", meaning the percentage of graduates who pass the exam, out of the 24 RN programs in the state. Programs reviewed include schools that offer an Associate in Nursing (ADN/ASN), BSN, or Direct-Entry MSN Degree. Maryland is moving into a nursing industry that includes an importance on higher learning. To be able to provide the best patient care possible, the state has taken to a philosophy of promoting higher learning. The average nurse with their Bachelor's of Science in Nursing (BSN) can earn almost $30,000 more annually, then their counterparts with a diploma/certificate. Maryland is helping candidates that are patient driven to upgrade their skills or are encouraging new students to go further in their studies. The annual salary, expedited career advancements and job opportunities are just a few ways the state is compensating the needed skill sets. 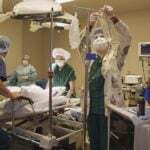 With changes in the healthcare system, nursing is always an in-demand profession. Many students opt to take the shortest and most price-conscious option to their RN licensure, which is the ADN or Associate's Degree in Nursing. With about 15 ADN programs located throughout the state, students have a variety of options to pursue the first leg of their post-secondary career. While students often continue their education through a bridge program or later, many ADN graduates sit for their NCLEX-RN licensure and get to work caring for patients. ADN programs are as diverse as students are - so how can you narrow your choices to find the right school for you? Taking a careful look at a college and program's accreditation, licensing and outcomes can help students decide which institution is right for their lifestyle, personality and values. Accreditation is important - most, but not all colleges are accredited and the same goes for nursing programs. Accreditation is a voluntary process whereby institutions invite a committee - in this case, the Middle States Commission on Higher Education, reviews the college to make sure that students will receive the education they have signed up for - the college reviews programs, facilities, policies and a number of other metrics, then suggests improvements where needed. Similarly, ADN programs are accredited and have similar expectations through either the Commission for Education in Nursing (ACEN) or the Commission on Collegiate Nursing Education (CCNE). The state's Board of Nursing has a stake in making sure that ADN programs can maintain licensure. Without the support and review of nurses on the board, student program standards may not line up with licensure exam standards, leaving potential nurses unable to pass licensure exams. Hagerstown Community College is located in the community of Hagerstown, Maryland. The school's ADN program faculty focuses on leading students toward a strong grasp of the fundamentals regarding empathetic, evidence-based patient care for all. Community college has the most affordable tuition of any post-secondary option - that means that its popularity will not wane any time soon. However, tuition is only one of the costs that students will incur when they go to college. Some of the other costs are food and housing - or commuting costs - applicable fees, books and equipment. Anne Arundel Community College has a number of tuition tiers, depending on where students have their permanent address. 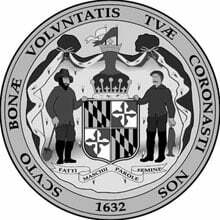 Living in Anne Arundel County offers the lowest tuition at about $110 per credit hour; living in Maryland raises the price by $100, and out of state residents pay almost double that amount. Additional fees are calculated separately. The advantages of ADN programs are numerous. Pricing is a major concern for students, and the comparatively low tuition cost for students can sometimes mean the difference between going for post-secondary education or not. A compounding factor for the tuition costs is the fact that students are generally only in college for 2 years before graduation. Those who have gone through training and licensure to become a Licensed Practical Nurse (LPN) have the option to earn their RN education via a bridge program. Whether the LPN chooses an ADN-based program or a BSN version, there's a school in Maryland to suit every need. For LPNs looking to enter entry-level nursing positions, an LPN to ADN program may fit the bill. This intensive program consists of lecture/discussion as well as clinicals and labs, and can be completed in around 13 weeks. Montgomery College in Rockville, for example, offers an 8-credit LPN to ADN program. For LPNs looking to become BSN-educated, there are LPN to BSN transitional programs as well. Students in these programs get an even more in-depth nursing education. Frederick Community College offers an LPN to BSN program in conjunction with Frostburg State University that culminates in both an ADN and BSN degree. Through this program, students are able to complete coursework through Frostburg State while completing clinicals through Frederick Community College. Offered as an undergraduate degree or the first step in a university education, the BSN or Bachelor's of Science in Nursing is a four-year commitment to a future career. Students who graduate with a BSN degree have to sit the NCLEX exam for licensure in the state that they wish to practice in - it's the NCLEX that is the determining factor as to whether a nurse can practice. Between Maryland's public and private universities, there are upward of 10 universities that offer the BSN program to students. Carefully reviewing your potential BSN programs can make a lot of difference in how satisfied you feel with your education. The best programs are often the ones that value diversity in faculty, student body and patients. Faculty should have top-notch credentials and fully endorse the philosophy of nursing as important members of the healthcare team. 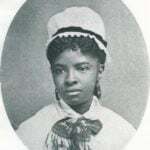 The University of Maryland School of Nursing is found in the heart of Baltimore. Students specialize in the integration of medicine, leadership and empathy in order to change the healthcare outcomes of patients from all lifestyles - improving their community and changing the world. Ranging from 110 to 125 credit hours, BSN programs in Maryland are almost double their ADN counterparts. While both pathways prepare students to sit the NCLEX examinations for licensure, a BSN offers much more theory for students who have that interest. BSN programs can also be 'accelerated' that is, condensed from 8 semesters in 4 years to as little as 2.5 years of non-stop coursework. Program requirements for BSN applicants are unique to the university that offers them; however, there are some similarities between schools. Read on to find out what you'll need to apply to your schools of choice. Universities have come under a lot of heat in recent years for raising tuition, however many students still feel that there is great value in pursuing a BSN, due to the flexibility and job opportunities that it provides upon graduation and licensure. In addition to tuition, however are the costs of attending classes (books; materials) as well as costs of living (room; board). 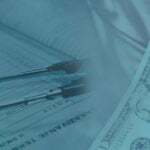 Students are advised to carefully review costs to find out what their financial obligation is. Full-time students who are also residents of the state can expect to pay about $4,300 per semester at the University of Maryland. Fees, housing and incidental costs are not included in this figure. There are distinct advantages to pursuing a BSN program. For instance, while class sizes are large, there is an opportunity to network and learn a lot of additional information due to the diversity of classmates and patients. Further, universities are often located near urban centers, which contributes to the diversity of learning experiences. If you have dreams of specializing in a certain field of nursing care like acute care, or gerontology, then pursuing your MSN or Master's of Science in Nursing might be exactly what you should do. Many students find graduate school to be a significant change from undergraduate work due to balancing personal and professional commitments. A few schools throughout the state offer graduate programs in nursing that cover an array of MSN specialty tracks. Programs are offered both full and part-time to provide a range of offerings to all who meet the rigorous admissions criteria. MSN programs can vary in length, depending on the faculty offerings and RN experience. Generally, however programs are 1 to 2 years in length that allows time to accrue about 40 credit hours and hundreds of hours of clinical time toward your specialty. 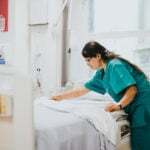 Graduate students at the Johns Hopkins School of Nursing can expect to be charged about $1500 per credit hour for each of the credits they will take toward their MSN. Students are encouraged as always to investigate all financial aid options at regular intervals to help defray the costs of tuition, housing, and related university expenses. Maryland has accelerated nursing programs offered at a number of institutions, all of which have their own set of entrance requirements. Before entrance into the program, there are required courses to be completed that will consequently affect the overall tuition costs. Tuition varies from program to program, as well as institution, each college charges various rates for course credits, making tuition varied. Accelerated BSN programs can be completed, once prerequisite course are complete, in about 12 to 18 months. Cecil College is home to a widely acclaimed nursing program. Cecil creates knowledgeable and caring patient advocates who are committed to lifelong learning and experiential growth. Learn more by visiting the Cecil College nursing website. Hagerstown Community College is home to an acclaimed nursing program. Located northwest of Frederick, HCC graduates take pride in using research and evidence to continue the advance of nursing practice. Visit the Hagerstown Community College nursing website to learn more. Anne Arundel Community College in Arnold, Maryland is located in suburban Annapolis. Graduates of AACC have the benefit of a variety of clinical placements to enrich their practical skills, and a healthcare community that welcomes exemplary nurses to their ranks. Get all the program details by visiting the Anne Arundel Community College website. Salisbury University is located west of Ocean City, south of Delaware. Graduates can pursue a BSN or MSN - either pre-licensure or on a continuing education basis. Degree-holding graduates are compassionate leaders and actors on behalf of their patients. Learn more by visiting the Salisbury University nursing website. Baltimore’s Notre Dame of Maryland University offers an entry-level BSN program which strives to provide students both intellectual and professional education in nursing. The curriculum is designed for students to provide safe nursing care and promote optimal health for patients across the lifespan. Learn more by visiting the Notre Dame of Maryland University nursing website. University of Maryland School of Nursing is located in Baltimore - Maryland's most populous city. BSN and MSN degree students are effective clinical thinkers who use theory, assessment, communication and leadership to make patient care decisions. Learn more by visiting the University of Maryland nursing website. Jumping ahead in this year's rankings, Bel Air's Harford Community College offers an associate degree as well as an LPN to RN option for aspiring nurses. Harford nursing grads have a stunning 100% employment rate upon graduation, thanks to the department's exceptional offerings and curriculum. Get all the program details by visiting the Harford Community College website. The College of Southern Maryland is located in La Plata, north of the Potomac River. The college strives to mold professional nurses who engage in continuous professional development to continue to inform their on-the-job decision making capacities. Learn more by visiting the College of Southern Maryland nursing website. 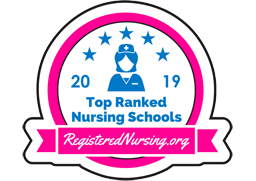 Cracking the top 10 in our Maryland rankings for the first time, Towson University's 120-unit BSN program allows students to build the communication and critical thinking skills needed to excel in nursing. Graduates of the program boast a first-time NCLEX-RN exam pass rate higher than the Maryland average. Visit the Towson University nursing website to learn more. Carroll Community College's home is in the thriving community of Westminster, Maryland. Faculty encourages nursing students to apply the concepts of leadership and critical thinking in ordinary ways throughout each day of nursing practice Visit the Carroll Community College nursing website to learn more.